We’ve covered a number of them on the Zine, some more than once. But the number of bands is way beyond what we can count. And, they’re more than good. 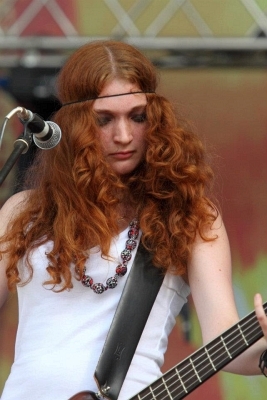 If you haven’t investigated the Russian Femme Metal scene, you don’t know what you’re missing. This article will look at a number of bands but be aware, with a county as large as this one, we sure won’t catch them all, and there are lots more out there. But, this should give you some things to consider, some options to look at, some talent to appreciate. Some of these bands have seen reviews on the Zine, others have not. Where previous reviews have been written, they will be linked to here, in order to give you an in depth look at the band. But, we don’t always get responses from Russian bands, and this article will attempt to point you to additional talent beyond what has been featured on this site. The bands are presented in no particular order, there is no attempt to “play favorites” here, although Blackthorn has long been one of my favorites throughout the world. Likewise, I would point out that there are a variety of styles here, but style will not be utilized to organize the article. So, take a quick look, give a listen, and enjoy. 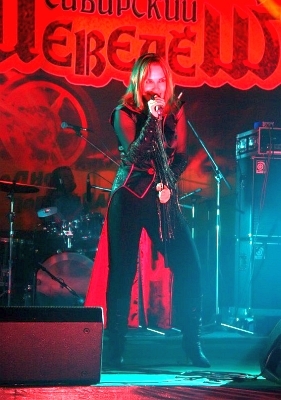 Beyond a shadow of a doubt, my all time favorite band from Russia is Blackthorn, Russian witches from Moscow. This is Gothic in all its finery. The music is B & B, the sound is symphonic, the lyrics take us to the darkest regions of the human experience. Aina and the girls do it all, this is what the Gothic is all about. Some of the releases are in Russian, but there are enough in English to provide a universal perspective. And, it doesn’t get much darker than this, beautiful music, interesting ideas, solid production. This is what this music is all about. Arkona is one of the few Russian bands who have made an impact on the US. They’ve played the Pagan Fest thing and covered much of Western Europe, one of the few Russian bands you can say that about. 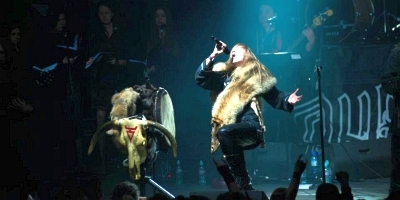 Masha "Scream" Arhipova is the principle component of the group, a dancing fur covered Russian Pagan, who doesn’t skip the vodka during live performances. . . or is it a version of a Pagan medicinal refreshment? Songs tend to focus on Russian themes, often involving ancient mystical topics. Certainly one of the biggest exports from Russia in the Femme Metal world. The SloT has been featured in a number of SC articles, both interviews and reviews. The music is aimed at the west, America included, and is more a version of alternative / nu-metal. Female lead Nookie is the daughter of a Russian opera singer and presents one of the more dynamic sounds, and visuals, in Russian Femme Metal. The band is one of the bigger players on the Russian metal scene out of Moscow although they do tour more than many in that city. The work closely with an American producer and, consequently, much of their newer material is in English, with interesting topics including at least one song dealing with a South Park character. . . not Cartman, unfortunately. 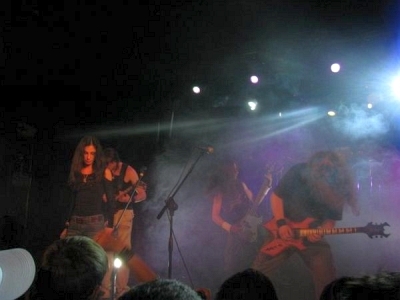 This band began in Vladivostok, in the extreme east of Russia. Since then, they’ve relocated to St. Petersburg which is somewhat more in the mainstream of Russian music. Vocalist Svetlana Vysotskaya can only be described as a classical operatic sound, as good as it gets. The band does it’s best to keep up, but this is truly one of the finest vocals you’re likely to hear. I’ve been a friend on FB for some time, and the girl has educated me to some interesting ideas, poetry and literature among other things. A true Renaissance woman. .. from Vladivostok. But you’re gonna love the music. 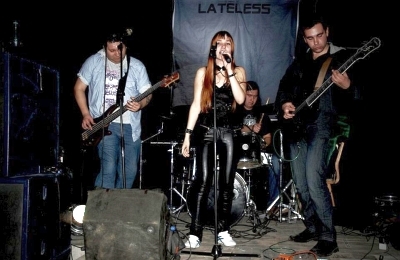 Lateless is another Russian band from St. Petersburg. Most of the music in this country comes either form Moscow or St. Petersburg. 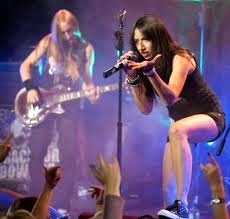 The band began with a lovely dark haired vocalist, Nataly, who was replaced by Tanya. But the sound continues, a heavy guitar based sound with interesting lyrical themes. Guitar player Yaroslav Smirnoff is the English spokesperson for the band and they continue to work on some interesting musical ideas. It’s guitar metal, in the finest tradition of the genre, no matter who the vocalist is. 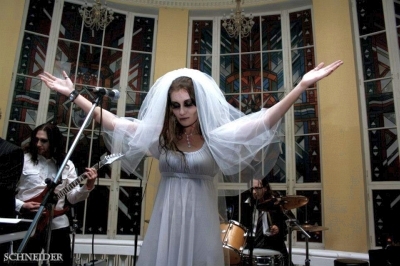 This is the darker side of the Russian Gothic. Much of the vocal work is done by a male vocalist, and he doesn’t mince words. There are some female vocals, but they tend to support in most instances. But this is an old sound, like what we got in America 20 years ago in the darker side of the drug scenes in New York and LA. It’s the thing of nightmares and psychological disorders, just my kind of message. It may differ from Within Temptation and Nightwish, but it will take you to places you won’t soon forget. Awake and asleep. One of the few bands not from Moscow or St. Petersburg. The vocals are delivered by a sultry Russian vocalist backed by a solid metal band. The sound is heavily keyboard influenced although there is sufficient metal throughout the song list to make it interesting to metal heads. Videos are especially interesting; check the one here which is linked to an epic Russian movie. . . and seems to work just fine. You’ll find the vocals, both male and female, to be a delight, even as the heads fall and the war continues, all to epic Russian Gothic. Dark Princess has been around for a while. Their original vocalist, Olga Romanova, was a delight, their new vocalist Natalia Terekhova is at least as good. The sound is interesting metal, somewhat Gothic in form but with outstanding music. I tried for years to contact the band, now I’m waiting on responses for an interview. They do a brand of Femme Metal that would be right at home with MFVF, I can’t understand why they haven’t been invited. They’re one of the big ones, let’s get to hear them. WitchcrafT hasn’t seen a review here on the Zine yet, but, WTF, it’s gonna happen soon. You get the Gothic, you get the visuals, you get the metal. What’s left? As with most first rate sounds, the music has evolved. It’s been described as Dark Progressive / Experimental Gothic Metal, with their sound moving more towards the Gothic side of things recently. But, with two of the hottest musicians in the business, and a sound that takes us to the dark side in every way, this is Gothic to appreciate. 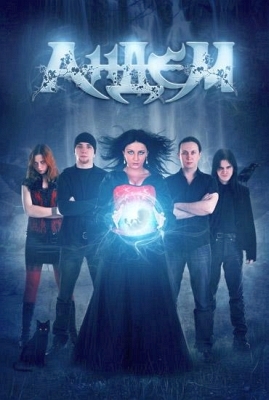 Rabies is a bit of a Nightwish type band, or as close as they come in Russia. And, they’re a good one. The name comes from a Latin word, not the English one. 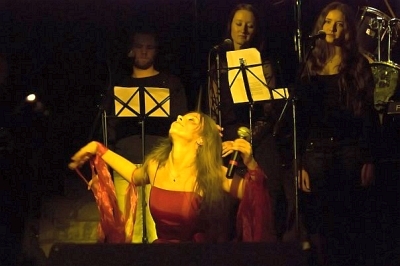 Vocalist Solovyova Vladislava is clearly trained in the classics and has a voice to match most of the top femme vocalists in the genre. The music is developed to feature the vocal and why the hell not. The picture is hot, but that’s not the typical style, this is more along the lines of a more traditional symphonic operatic band from Western Europe, with a killer vocal to deliver on the promise. Louna was formed by Vit (bass) and Lou (vocals) of Moscow’s leading alternative act Tracktor Bowling to pursue some different musical directions from what they had done with TB. The sound is somewhat similar, but with a somewhat larger focus on the vocalist, which surely ain’t a bad thing. The girl can crank it up. This isn’t Gothic, it might not be nu-metal. What it is I’m not exactly sure but I sure like it. Some performers are just getting it right, and Lou is one of them. It’s no wonder they’re as popular in Moscow as they are, I wish they’d branch out. The world needs more of this. One of the biggest names in alternative metal in Moscow for a long time. The band is headlined by Lusine "Lu" Gevorkyan, who is the same vocalist as the band Louna. They’ve won any number of prizes for musical excellence in their home country. Their travel schedule seems to be mainly within Moscow although they did tour Russia in 2005. The original sound was nu-metal, like several other prominent Moscow bands, however, it has since evolved into something more personal. They continue to hit most of the major festivals throughout Russia. 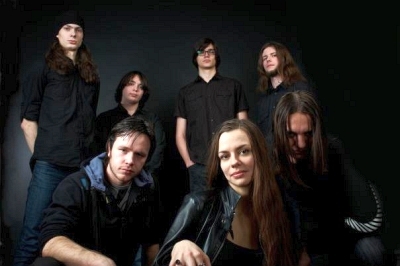 Alkonost is a Folk / Pagan metal band using several operatic vocalists. Their history dates back to 1997 and the list of releases is a very long one. As with other bands that practice this style in Russia, there is a strong historical reference to much of their music. My latest information is that they work with a German label and, consequently, they probably do some touring outside Russia. This is a major act, one with a strong following both inside Russia and outside. Their music justifies that following. 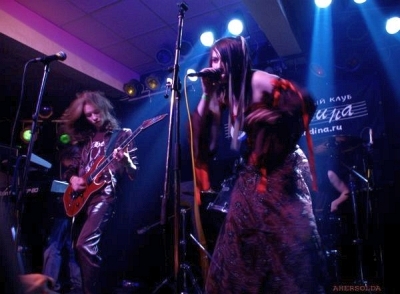 Another Moscow band doing a fine interpretation of the Symphonic, Operatic Gothic sound. Alexandra Revontulet provides vocals, but there’s choral work, lots of strong symphonics, top flight music for this style of music. I haven’t gotten to the lyrics yet but, musically, Therion has nothing on this. There’s some solid work on their Reverbnation page. If you treasure this style of music, as I do, you really can’t pass up this band. I certainly hope to get a full review at some point on the Zine, they do a lot in English so I’m looking forward to getting the lyrical message. As good as it gets. Ambehr is a little different sound. The band originated in Armenia in the mid 90s. I think they’re in St. Petersburg these days, not sure. I’ve listened to some of their material, kind of a B & B but with a very different musical direction. Not what you usually hear in Russia by any means. They call it a mixture of Folk Metal and Power metal, but I’m not sure what language it’s in, maybe Armenian. Either way, it’s good stuff and they’re beginning to draw a following. Clearly a band to watch in this genre. And, since they appear to work outside of Russia a bit, they may become more accessible. Another great Russian vocalist, this one of a slightly different style. New release out and they seem to be hitting the trail with live performances. 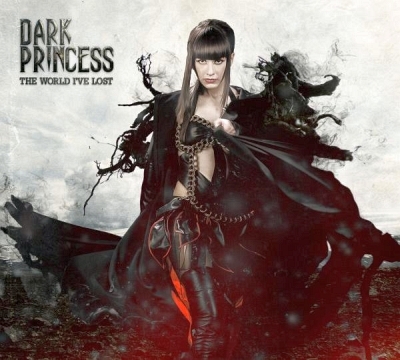 It’s symphonic metal but this may be the more accessible style of Russian Femme metal. It’s almost hard to tell the difference between this material and the latest Delain or Epica release, they’re almost that good. The symphonic is enhanced through the use of duel keyboards, giving this a super symphonic sound. Certainly a comfortable listening experience for people who support the traditional Gothic sound, especially if they favor the symphonic elements. The term Kalevala comes from an epic Finnish mythological poem compiled in the 19th century. It is considered the Finish national epic. This Russian band seems to have taken the concept to heart in their music, which features a lively Folk oriented approach to metal. They have a lot of stuff out and it’s pretty easy to get into the sound. It may be difficult to determine whether this is Finish oriented or Russian oriented, although the lyrics are clearly Russian. Either way, if you like the foot stompin’ brand of music, this will clearly appeal in a lot of ways. Andem returns us to a more Gothic direction. 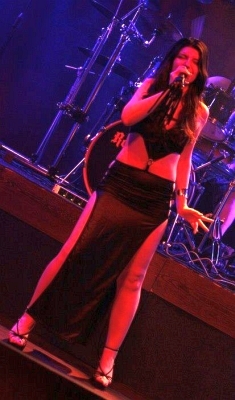 Vocalist Yuliana Savchenko takes us to the dark side, with a Power Metal sound to back her up. The vocal is classically oriented; this has a somewhat Western European feel to it, but with Russian lyrics. The title comes from a combination of the words Angel and Demon, but that’s about as much English as you get. The music has drawn raves in Moscow, winning awards and finding a lot of work for the band throughout the country. You get all the symphonics you want, a lot of solid metal and a seriously strong, and attractive vox. This is another one of the biggies in Russia, this time from Kaliningrad. Most bands are from Moscow or St. Petersburg so this is a bit out of the limelight in a sense. But, the music is top notch, and some influential people in the West are more than a little aware of them. The sound is pretty diversified in terms of direction, it’s epic and consists of fast and heavy melodies. The lyrics tend towards the mystical. There have been a lot of personnel changes over time so I’m not sure the video below is the current vocalist. But, in Russia, there seem to be an unlimited number of solid vocalists to it’s unlikely there has been any drop off, no matter who handles that function. Oh, and I love the Che. This is another Russian Folk metal band. They use two vocalists. You get the feel of the old American hippie movement here, which certainly works for me. There’s a lot of instrumental work, and some nice Russian vocals. Don’t know what they’re saying but you can pretty much figure it out with the videos. Russian history is clearly a topic of interest, some of it a little on the brutal side. There’s a bit of the Arkona here, not quite as heavy musically, but with similar topics of interest to the music. Sure looks like attending their shows would be an interesting experience. OK, now we’re getting into topics that really appeal to me. This is not one of the most famous bands in Russia, unfortunately, but the topic of interest is Carlos Castaneda and the music is first rate. Now, I know you may not be familiar with him, but I am, and my generation was intoxicated by his work. He was Central American Spiritual psychodelia of the highest order. He wrote a series of books, mostly dealing with the use of hallucinogenics to achieve spiritual awareness that defined the thinking of millions not that long ago. How that reached Russian I have no idea. But, the music, and the videos are of a seriously interesting nature. Now where did I put my psilocybin mushrooms. . . I’m getting high just watching the video. This band is a more traditional Western European sound, a B & B interpretation of the Gothic we have all come to love and respect. Lots of killer guitars, a male death vocal, and most of the rest of the things we like. Vocalist Catherine Stalukova provides a seriously interesting sound, and visual, and the music, much of which is in Russian, is relatively easy for most of us to get comfortable with. Although they’ve been quiet for a while, my information is that there’s new material about to be released. This is another band that would benefit from getting on the road, to Western Europe, as soon as possible. Wizardmask is from . . . .Siberia? You’re fookin’ kidding me, right? Vocalist Svetlana Sokolova seems to have the capability to warm up even the coldest environments, this is great music, new music but leaving little to desire. Some have referred to it as Technical Symphonic in terms of style. And, there’s certainly a dramatic flair to their live performance, lots of stagecraft. But, their first release in 2012, Carnival of Illusions demonstrates that they do more than just look good, the music is equally good and demonstrates a solid potential for the future. One wonders how long they’ll remain in Siberia. You have to figure that playing Club Igloo gets old, and very cold, after a while. Sunwalter seems to be the final statement to cover all the bases in Russian Femme Metal. This is sci-fi metal. It’s a new band, not a lot of material, but what there is tends to be, well. . .WAYYYY out there. They talk about things like “SETI Evidence”, not something you get every day in this kind of music. Other titles address topics like The Roswell Incident, Supernova and Phantoms of Mars. And much is in English so you can kinda even understand it. The music is classified as Extreme Melodic Space Metal. If that doesn’t get you interested, just take it from me; it’s fine Femme Metal. Russian variety. Clearly there is a lot of exceptional talent to consider here, and far more that hasn’t been addressed. I would be remiss not to express my gratitude to those who have assisted in the development of this article, principally Vard Aman who is a principle source regarding bands in the area, thank you my friend. And, of course, my dear friend Ludmilla in Panama. И, всем другим, которые помогли, спасибо также.